The love we share with others is like a circle, continuous and everlasting. 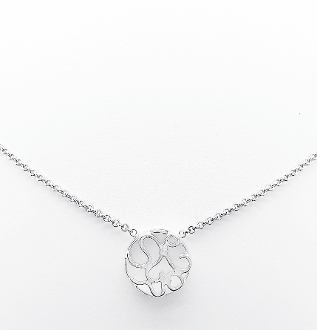 This precious necklace is custom made and crafted in sterling silver. Perfect balances of artistic lines create a unique contemporary design that is truly one of a kind.